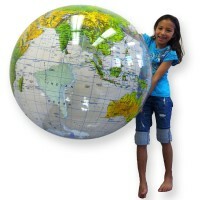 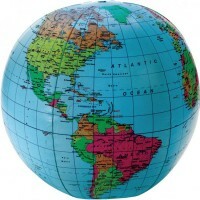 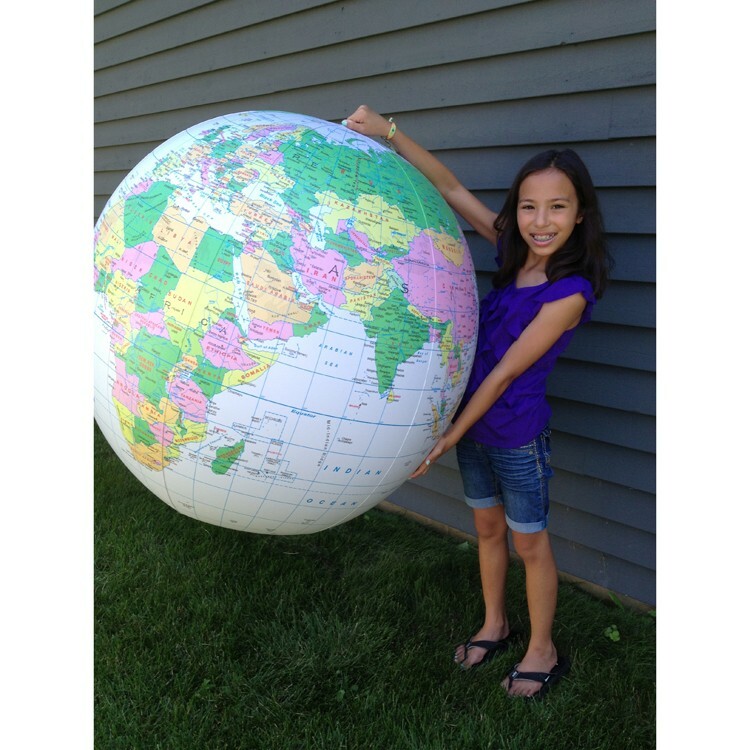 Have jumbo fun learning world geography with this 36-inches jumbo political inflatable globe! 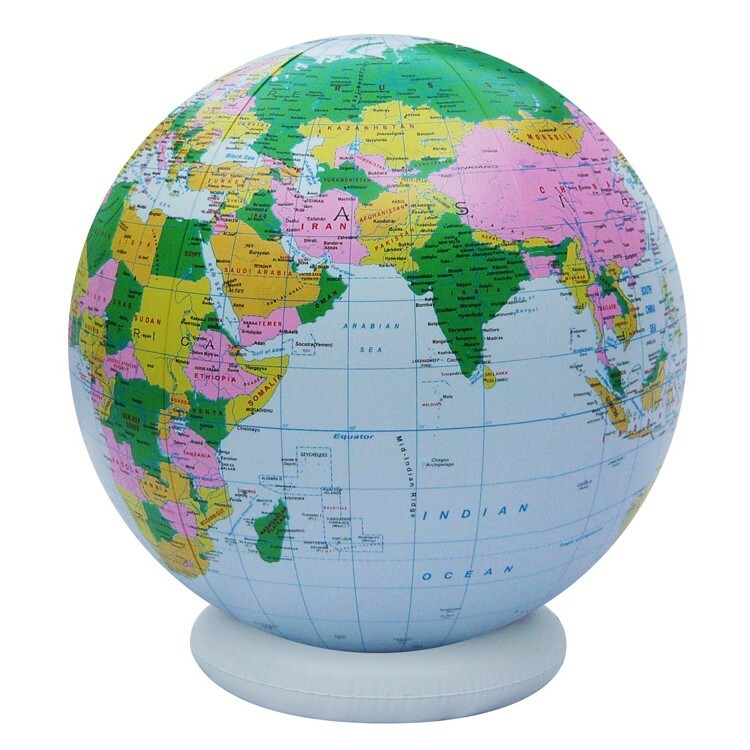 This jumbo globe ball is awesome to play and learn with!Inflatable Giant 36 Inches Political Globe by GeoToys features a 3-foot diameter inflatable globe, and an inflatable ring stand. 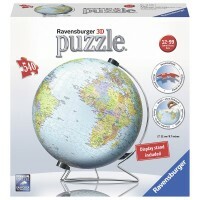 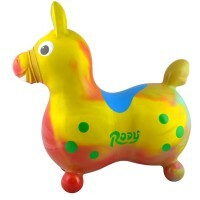 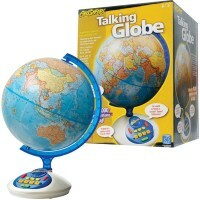 This jumbo-sized inflatable globe is made of super durable plastic to last for years of geography learning fun. 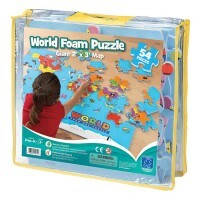 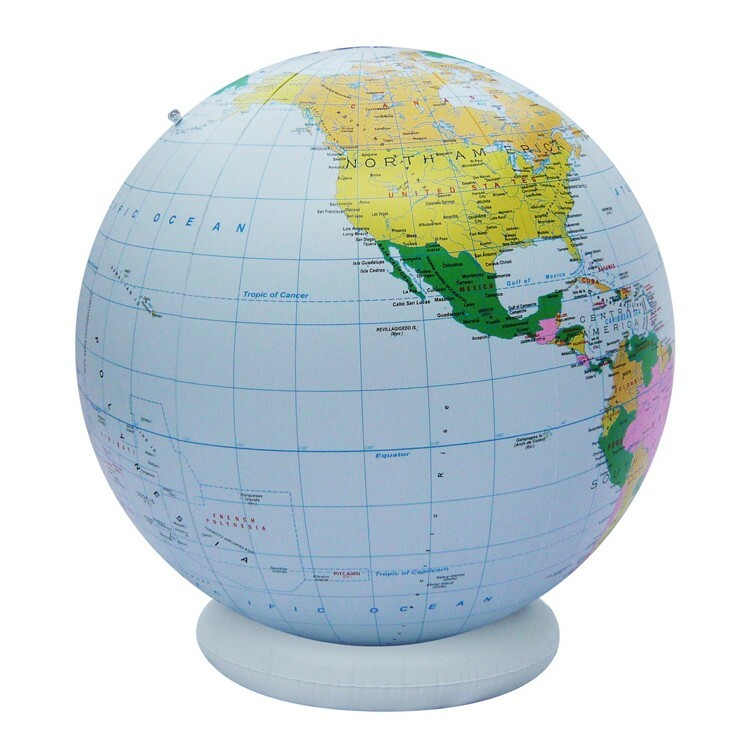 Inflatable Giant 36 Inches Political Globe from Educational Toys Planet features the latest political map of the world with all the countries, continents, bodies of water, and more. 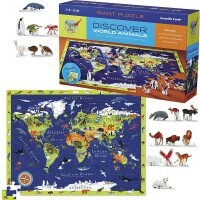 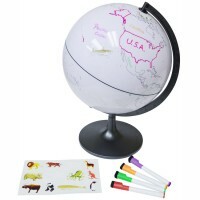 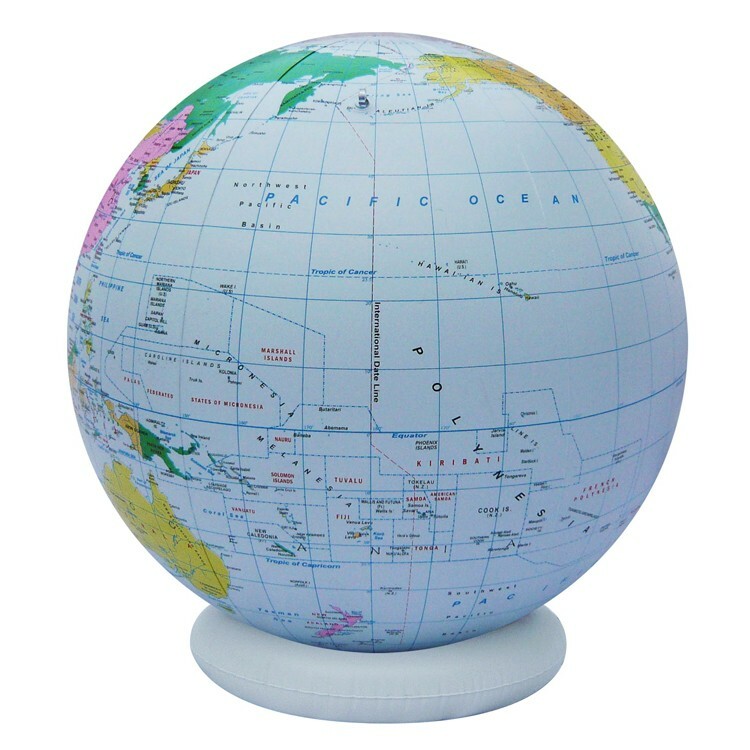 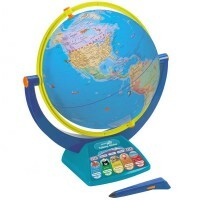 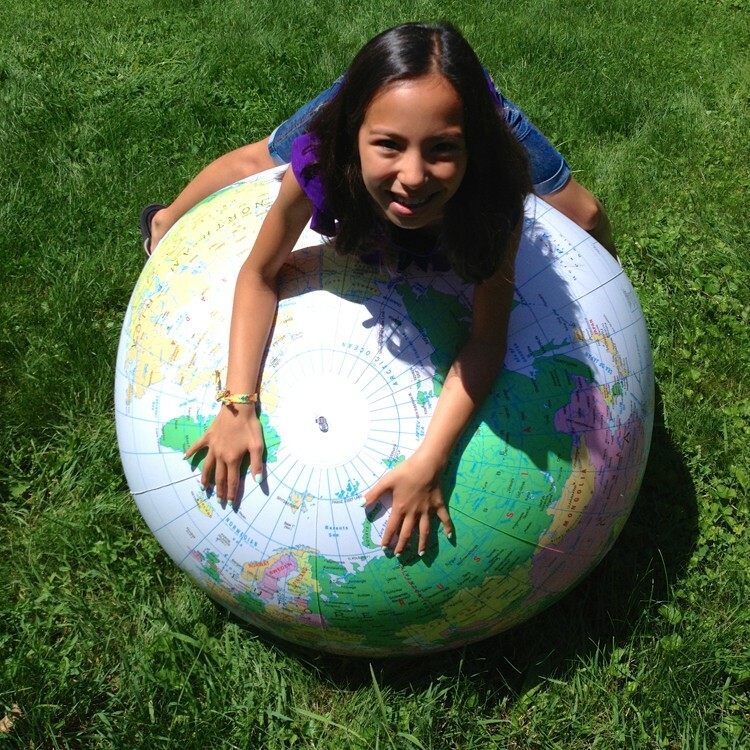 This political map globe can serve as a geography display at home or in a classroom. 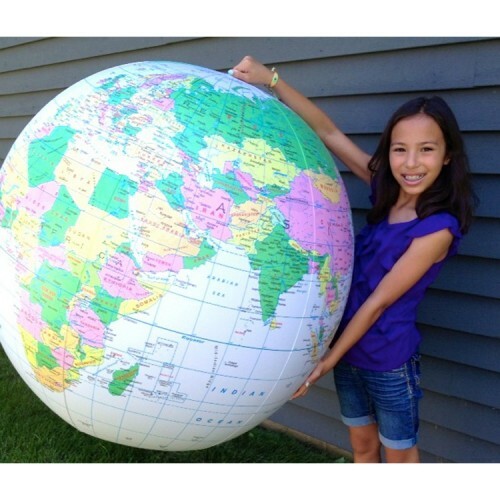 This kids giant inflatable globe comes with adapter-valve for easy inflation. 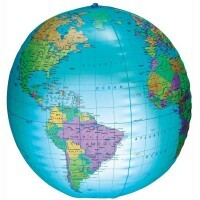 Dimensions of package 36" x 36" x 36"
Write your own review of Inflatable Giant 36 Inches Political Globe.